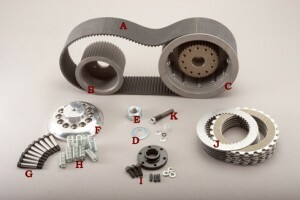 Open Belt Drive Kits for Softail® and Dyna Models | Belt Drives, LTD.
Our 3” drives are made out of 356-T6 aluminum, all pulleys are cast in our own foundry and completely machined in house. 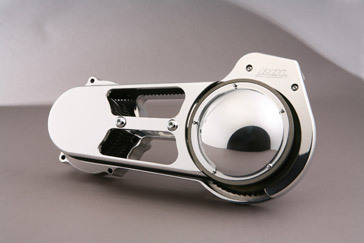 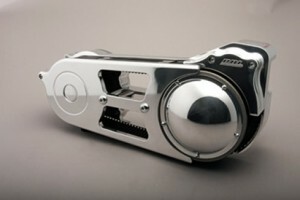 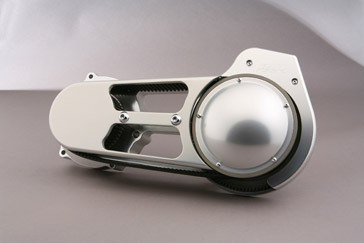 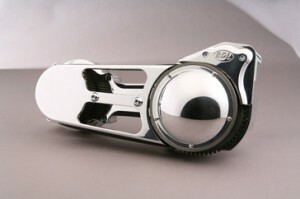 Unique side guard and rear pulley cover both made from 6061 billet aluminum, precision machined and highly polished. 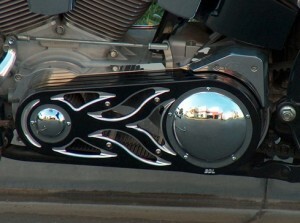 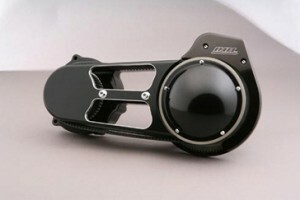 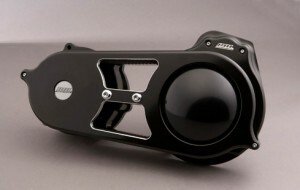 Unique side guard and rear pulley cover both made from 6061 billet aluminum, precision machined and highly polished then anodized black with UV protection. 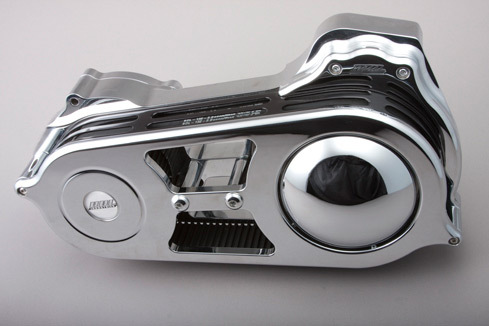 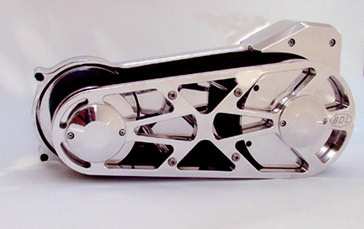 Unique side guard and rear pulley cover both made from 6061 billet aluminum, precision machined and highly polished then chromed. 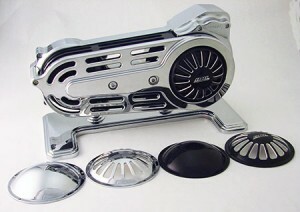 Unique side guard and rear pulley cover both made from 6061 billet aluminum, precision machined and highly polished then clear anodized for durability. Our all new design includes a 52 tooth front pulley and 69 tooth rear pulley, both 2 inch wide and driven with our specially designed 142 tooth belt which rounds off the perfect combination. The cleanest and sleekest of all belt drives, this 3 inch wide baby has been purrin’ down the roads of the entire world for decades! 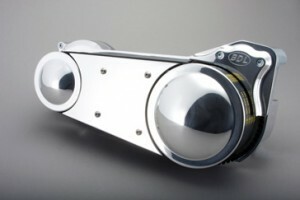 BDL’s EVO-9T and EVO-9TF are the work horses of belt drives. With over 50,000 kits running on bikes today you can be reassured these drives can outlast and out perform the competition. 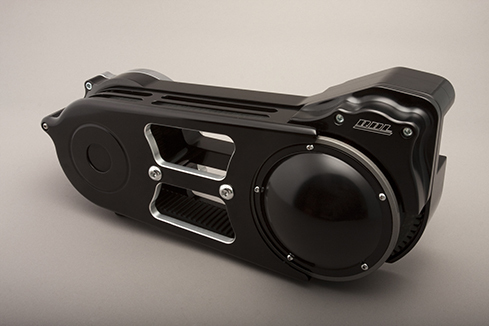 Our new 3″ drive for the Softail® is loaded with style to accommodate today’s custom trends. 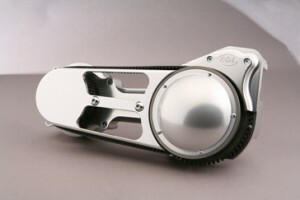 All billet construction and with our unique top guard our kit affords long lasting service and functionality. 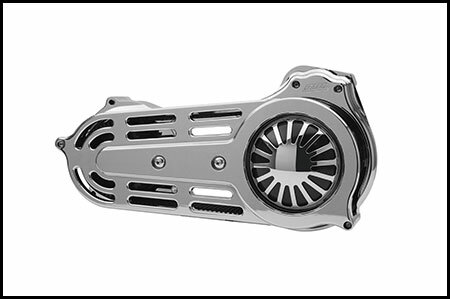 The latest in a long line of trend setting drives, the EV-575 offers enthusiasts a number of significant advantages over other aftermarket and stock systems. 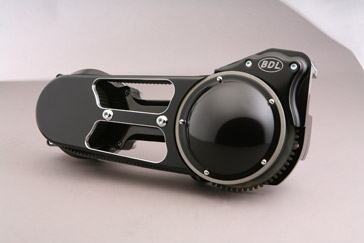 This kit is a 2" drive which features a black belt guard that fits between the motor plate and outside cover. 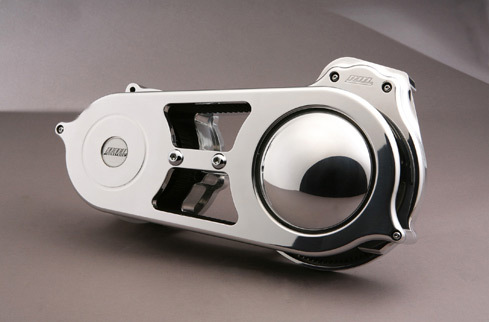 Our EVO-900SF is the drive for people that would like the comfort and reliability of an outboard bearing support. 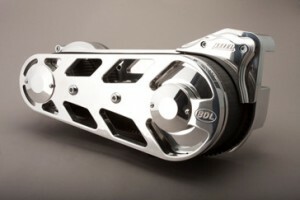 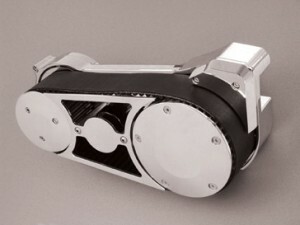 This drive was designed with the same ideas of our Top Fuel Street drive the TF-2000. Our EVO-900TF is the drive for people that would like the strength and reliability of an outboard bearing support. 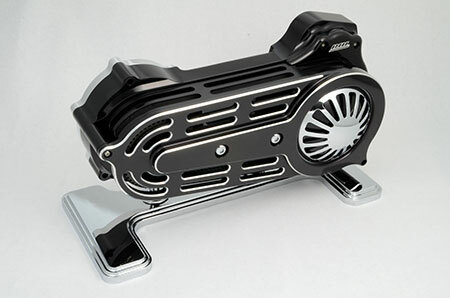 Our EVO-950 is the drive for people that would like the strength and reliability of an out board bearing support. The latest in a long line of trend setting drives, the “SS-2 BELT DRIVE” offers enthusiasts a number of advantages over other systems. 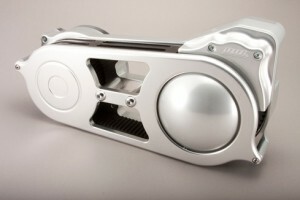 Our monster TF-2000 (ALL BILLET) “TOP FUEL STREET DRIVE” is ready for action. 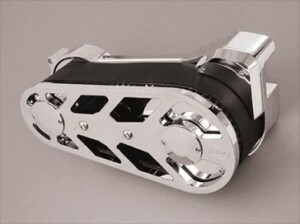 The 14mm by 85mm wide (3-3/8”) belt is the same that the Top Fuel racers use on the 600-plus-horsepower machines.